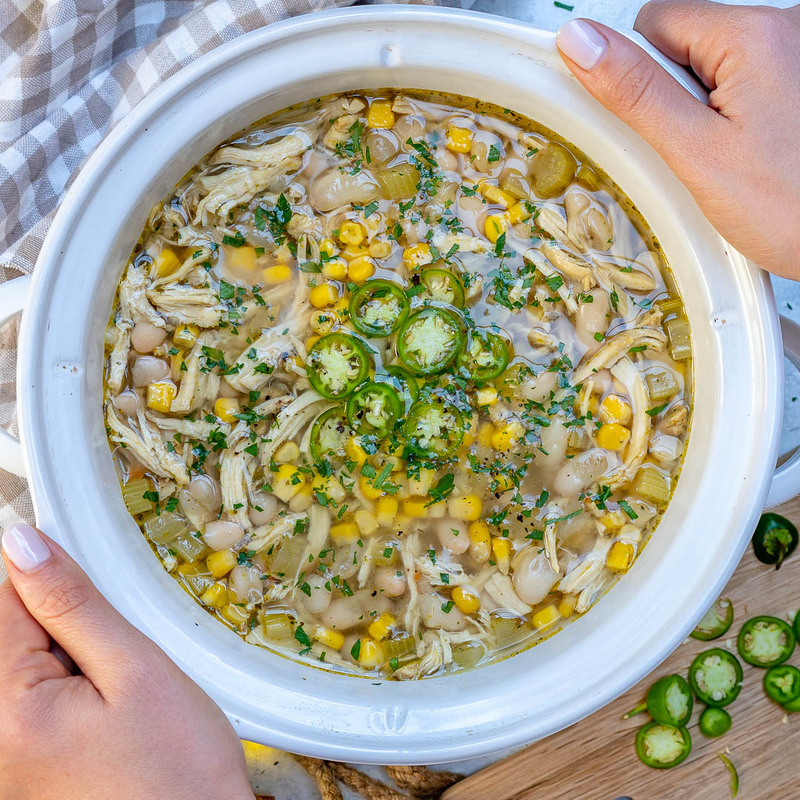 Crock Pot/Instant Pot White Chicken Chili for Clean Eating! 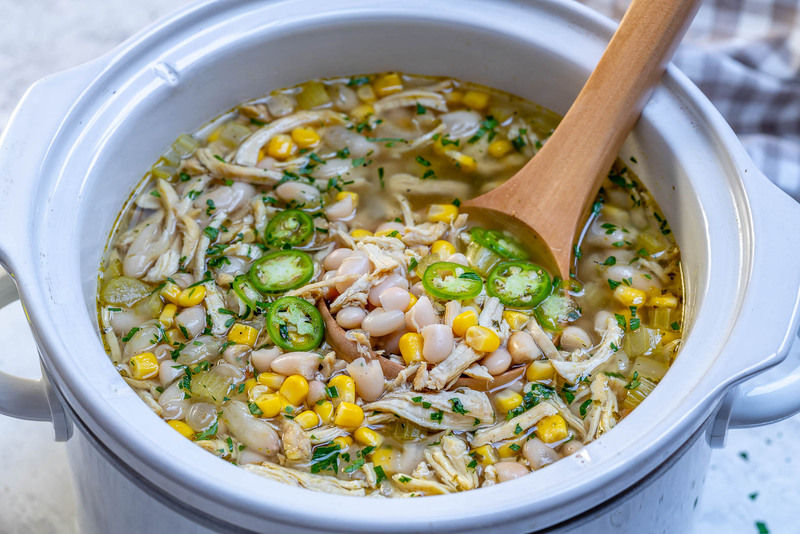 Many of you are asking for more slow cooker and instant pot recipes because they are so.dang.easy. Here you go! 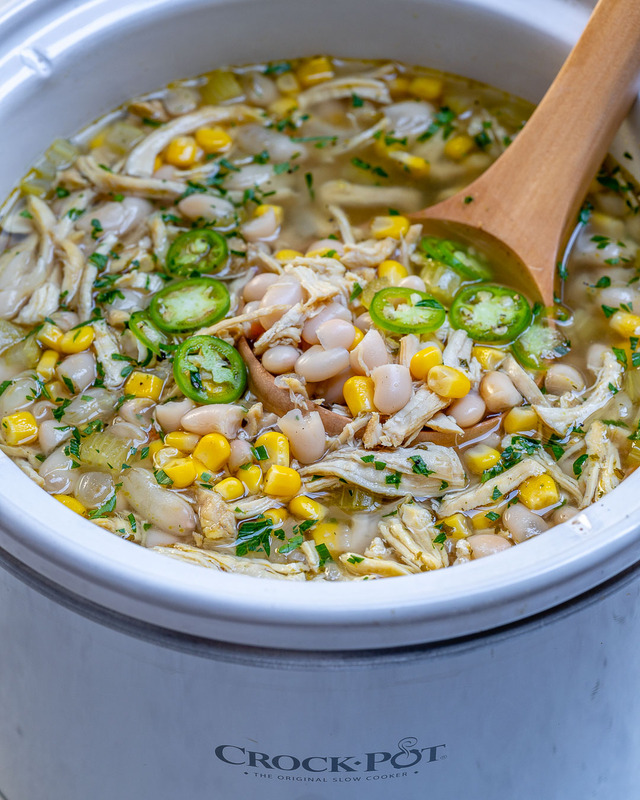 White Chicken Chili is one of my cold-weather favorites, it’s also great to double the recipe so you have more for future meals throughout your week. 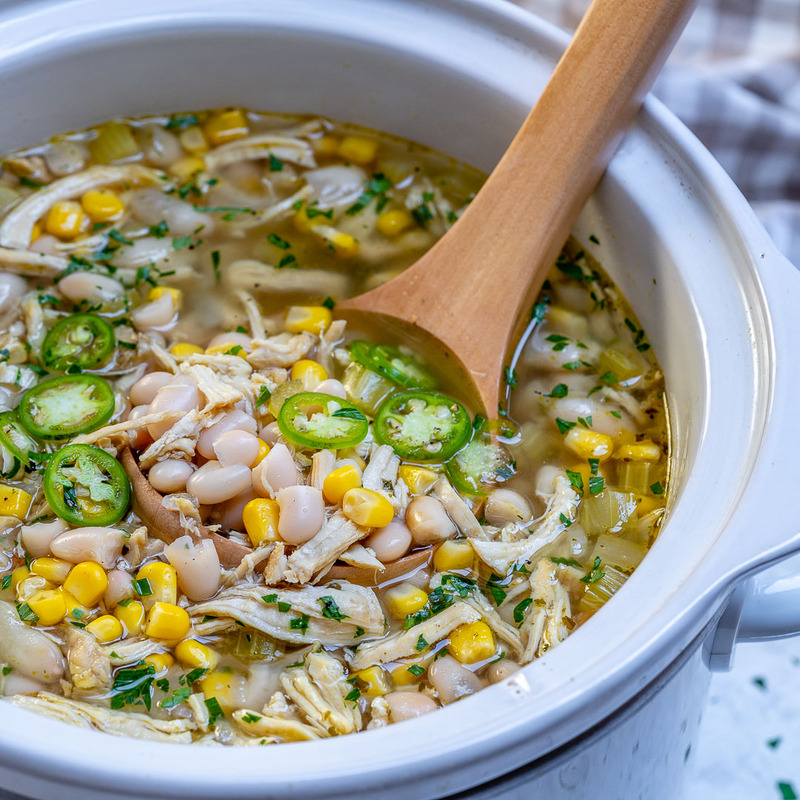 Add all of the ingredients except for beans and corn in a slow cooker. Cook for 4 hours on HIGH or 6 on LOW. I really prefer using the LOW setting if time allows. 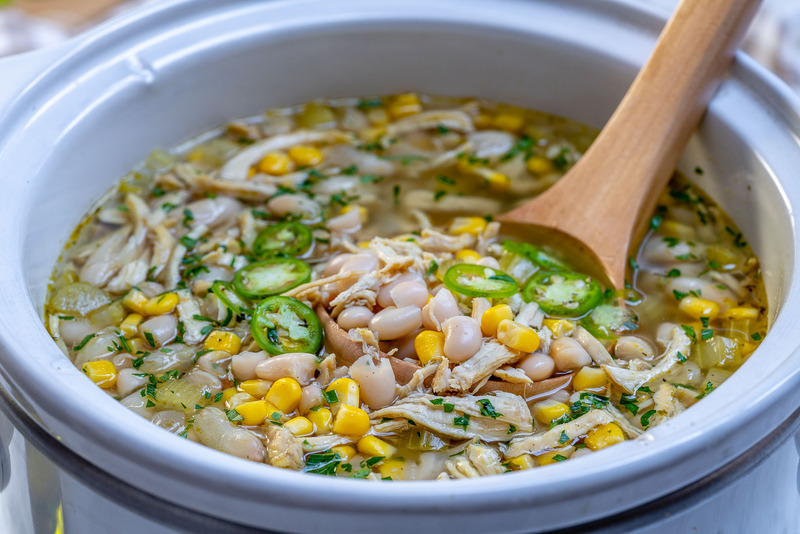 Once cooked, shred the chicken, then return to the crock-pot together with the Cannellini beans and corn. Place the lid back on and cook for an additional 20-30 minutes. Sprinkle with fresh chopped cilantro/parsley and jalapeno slices to serve. 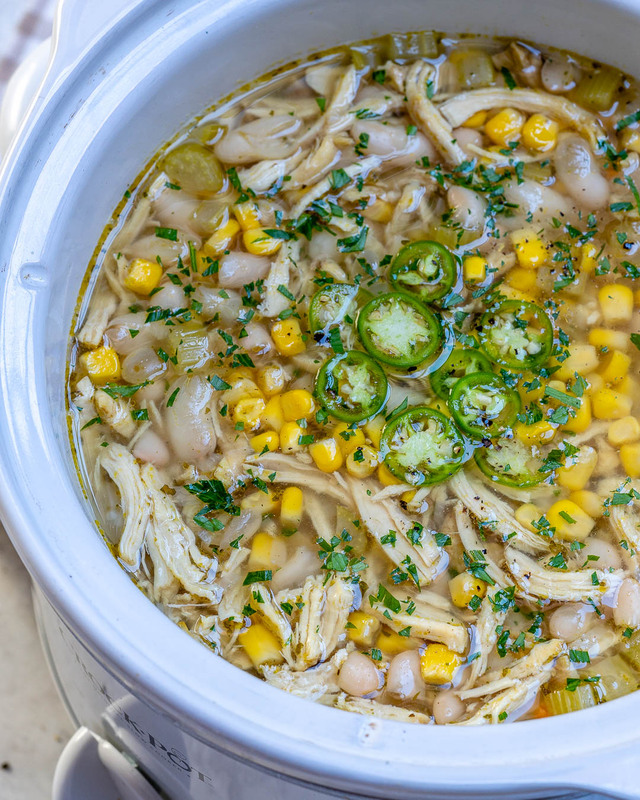 Place everything in your instant pot, seal, and press the soup button. I let it sit at warming for 15 minutes after. 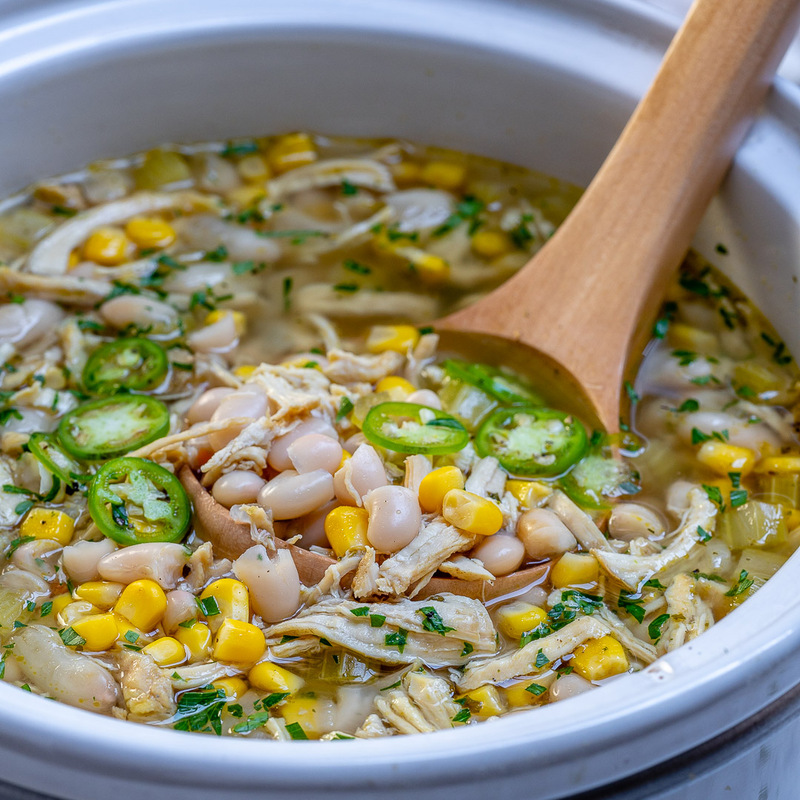 Remove chicken, shred with forks, then return to the pot. Cook for 4 hours on HIGH or 6 on LOW. I really prefer using the LOW setting if time allows. Once cooked, shred the chicken, then return to the crock-pot together with the Cannellini beans and corn. Place the lid back on and cook for an additional 20-30 minutes. 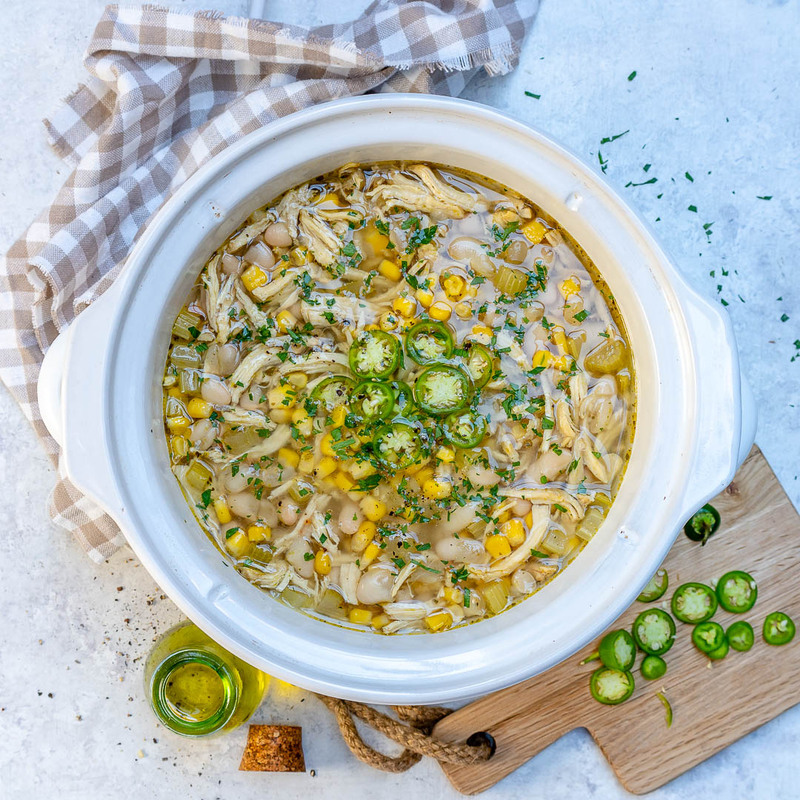 Sprinkle with fresh chopped cilantro/parsley and jalapeno slices to serve.